The innovative Midilift platform lift can now be installed outside! The external option for the Midilift means you get all the quality construction and convenience of the Midilift SL but with a reliable finish and specification that is ready for the tough outdoors. A specially formulated electronically applied paint means the unit is completely protected – this e-coat ensures every tiny component is sealed from the elements. A stainless steel door frame and galvanised platform make sure wind, rain, frost and even salty sea air won’t stop your building being accessible. The door canopy, roof and aluminium chequer plate flooring protect the lift users from rain and slipping and give a sturdy, reliable finish. Weather proof IP54 buttons and stainless steel call station are also on board to last the test of time. With temperature limits a priority, an oil heater means your external lift keeps running in freezing environments. 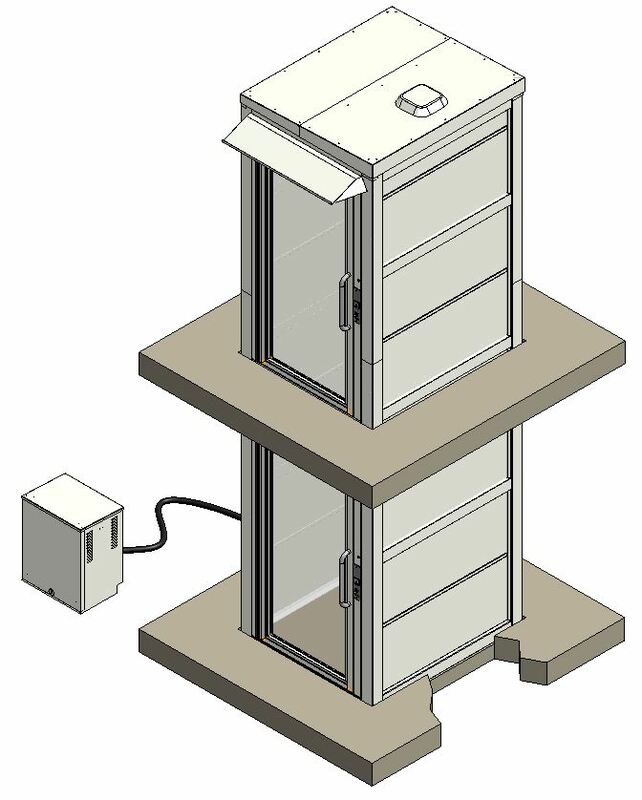 Soaring temperatures are also covered - the option of an internal fan keep this outdoor platform lift cool and ensure a comfortable ride for users. Minimal builders work is required, just as with the rest of the Midilift range, the structure is self contained making it a hassle free perfect addition to schools, shops and residential and commercial buildings. Extensive testing from Stannah means that when you opt for an outdoor lift – you are choosing a product built to last, ensuring your building provides safe access, for all visitors, come rain or shine.